I'm very pleased to have a guest swatcher to add to my collection of swatches! The amazing AlexisAdella is helping me out, because she has an extensive collection of Too Face and Urban Decay- particularly palettes! She took the time to take some excellent pictures, and add on to my database (grow little database, grow). These posts will be added into my regular posts, you can find any of them anytime by searching my blog. Without further ado, I present to you, AlexisAdella (henceforth known as AA for short, NW15) and her work. 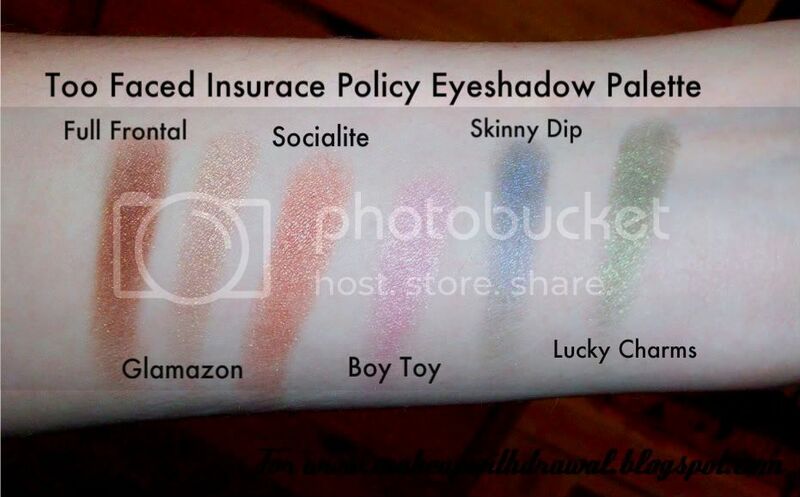 Notes: All of these are shimmer shadows. Full Frontal is warm red copper. Glamazon is like Urban Decay's Midnight Cowboy in that it has big silver glitter, a peachy champagne. 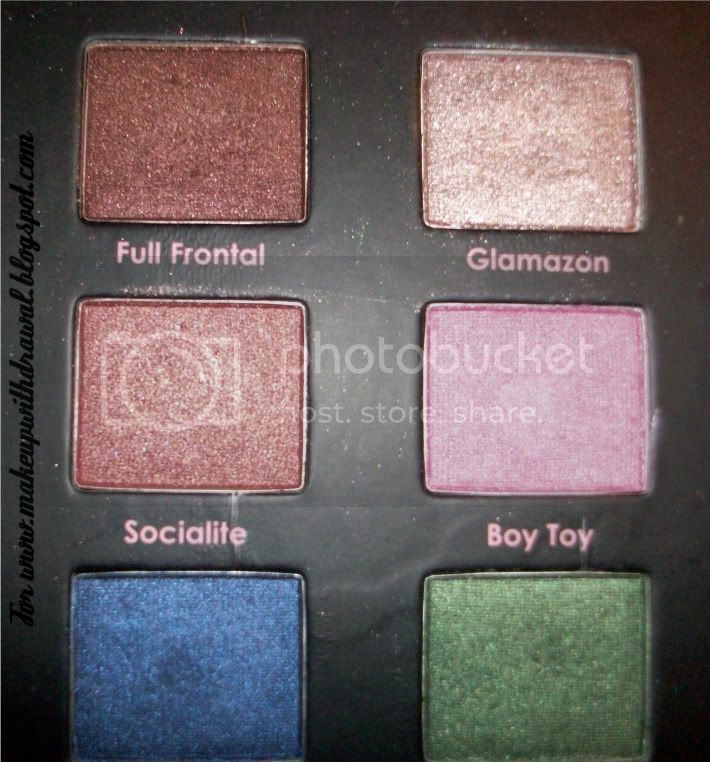 Socialite has multi colored glitter, a very scarlet orange peach. Boy Toy is a blue based pink. Skinny Dip is a true blue. Lucky Charms is a nice green that leans a little towards forest green. These are all very pigmented and are sold as singles (Socialite, Glamazon) or in Duos (Skinny Dip, Lucky Charms, Boy Toy, and Full Frontal). 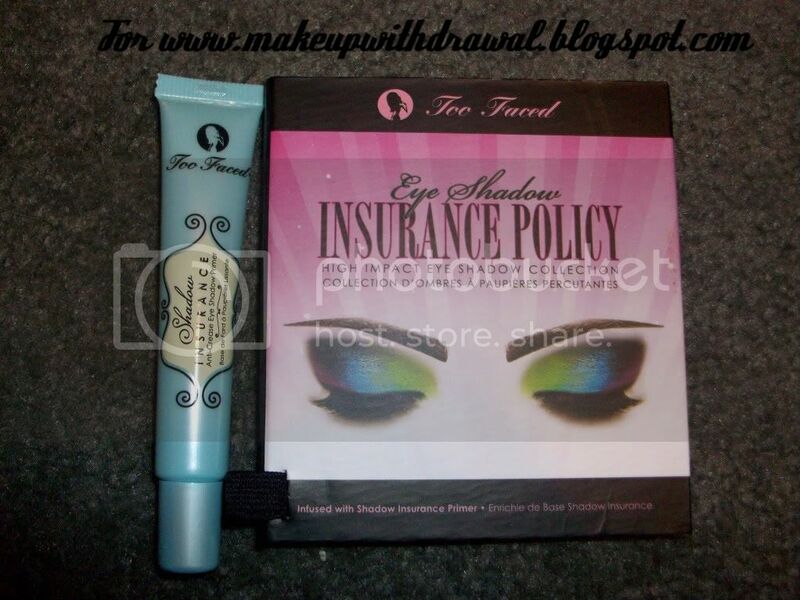 This set also came with a full sized primer- Too Faced Shadow Insurance. 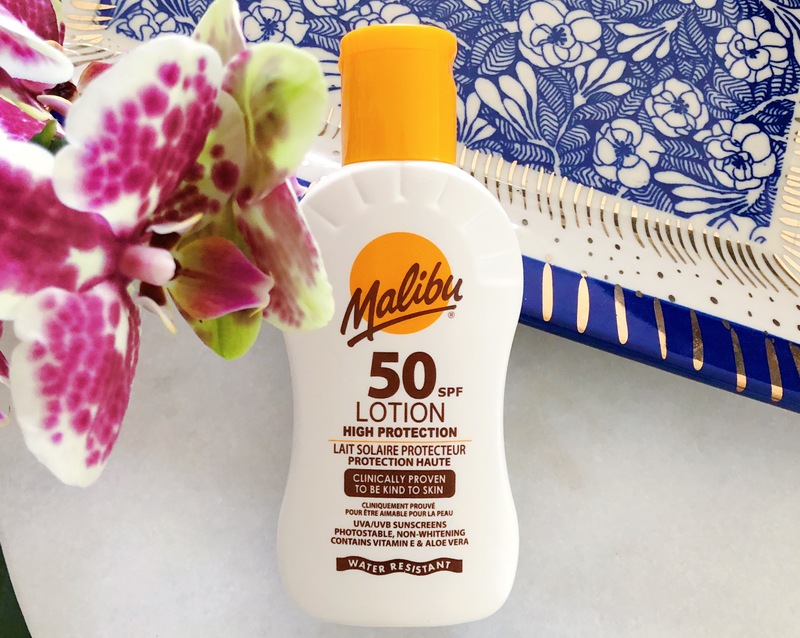 All products mentioned/photographed in this post where purchased by the AlexisAdella for her own use.